Founded by Roland Morrison in 1983, our General Contracting firm has been building in Southern Maine for over 30 years and has always been family owned and operated. While there have been plenty of expansion opportunities; we have purposefully kept the business small. With our own team of highly skilled carpenters; we carefully implement every architectural detail with an exceptional level of craftsmanship. We create client driven spaces - designed by some of the best architects in New England and our number one focus is bringing creative ideas to life. Regardless of size and scope - every project gets the same attention to detail and exceptional level of service. 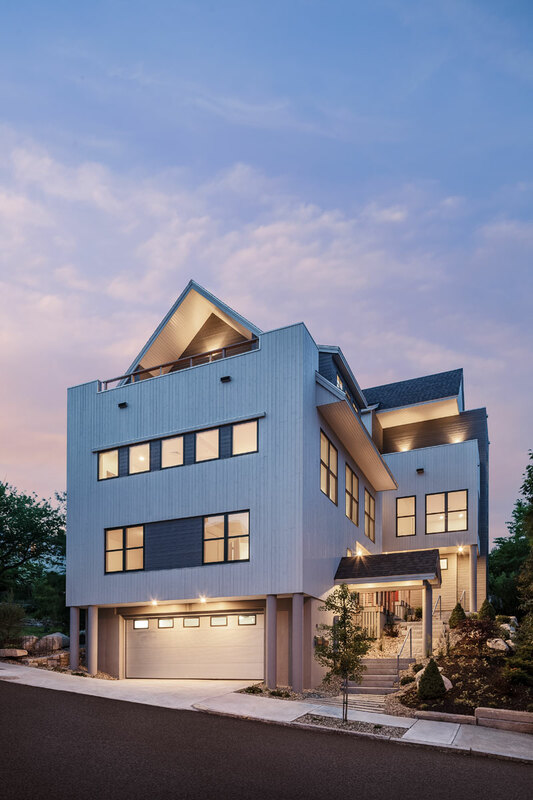 From smaller renovations to sprawling ocean front properties; we enjoy building a range of projects. Our attention to detail, craftsmanship and customer service are unmatched in the industry. The secret is our team of career carpenters, trusted subcontractors and enthusiasm for what we do everyday. Commercial construction projects require a more specialized approach: being responsive to the communities in which we build, predicting and adapting to changes as they happen and implementing a safe work environment. We believe in working collaboratively and organically as we build out trending parts of Maine. With a perspective that is informed by a respect for our natural environment; we craft interiors that blend aesthetics seamlessly. Our office has the capability to conceptualize, draw and source each and every phase of a project. With stunning visuals and an outstanding materials library; you'll feel confident about your future interiors.